Michael Dalton is the editor and publisher of the Blackjack Review Network and former editor of the quarterly newsletter Blackjack Review. As an authority on the game of twenty-one and a professional level card counter, he has appeared in public on very few occasions. "It is ironic", Dalton remarks, "that to be successful with one's book and writings you have to publicize yourself, which is contradictory to everything that a player must do to be allowed to win at this game. 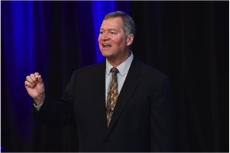 "Michael Dalton is retired from the National Aeronautics and Space Administration (NASA) after 30 years working in Space Shuttle launch activites, avionics, software development and project management. He is a graduate of Florida Institute of Technology with a Bachelor of Science degree in Space Science and a Master of Science degree in Space Technology. Besides the space program, blackjack, and poker, his other interests include the martial arts, playing the Scottish bagpipes and managing the BlackjackReview.com web site. He can currently be found enjoying his semi-retirement...You can follow Michael Dalton on Twitter at http://twitter.com/bjrnet. February 15th 2019 announcement in Manila, BK8.com has named John Terry, English Premier League’s most successful club captains and Chelsea FC legend as the group’s first Brand Ambassador. Manila, The Philippines: BK8.com, one of Asia’s biggest brands within the online gaming industry, secured the appointment of the English Premier League’s most successful club captains’ and Chelsea FC legend, John Terry, as the Group’s first Brand Ambassador. The agreement grants BK8.com the exclusive marketing rights to John Terry as Brand Ambassador for all the Group’ s marketing campaigns and advertising platforms in which he will appear across its major businesses, throughout Asia. 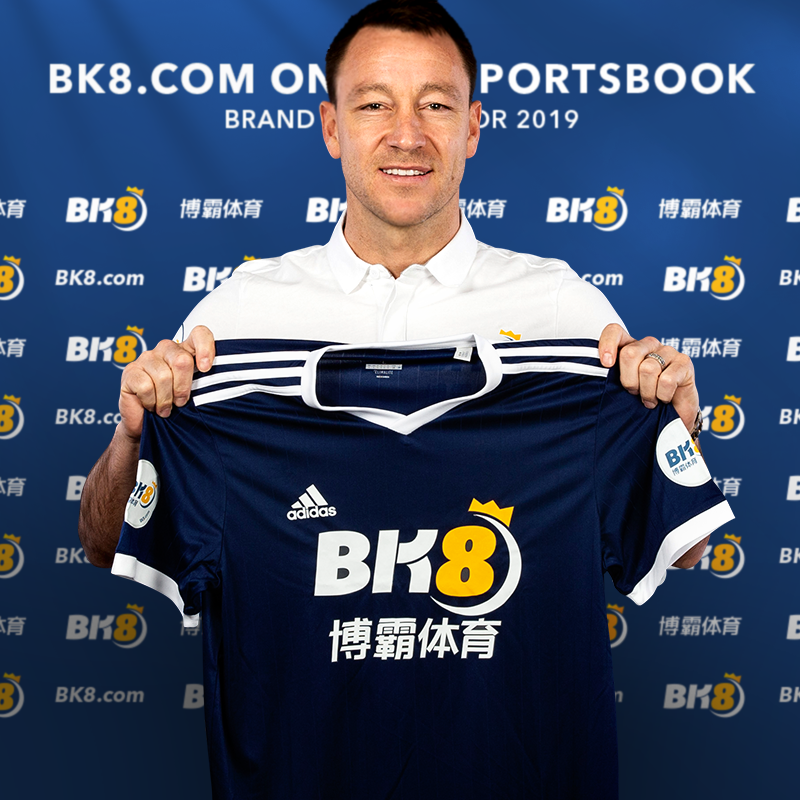 The partnership with John Terry underpins BK8.com’s key values, reflecting its commitment and passion to grow the brand’s visibility to become the leading gaming destination for all Asian players. The agreement is a result of a collaboration between Samson Sport Consultancy and Entourage Sport & Entertainment, who are the commercial agents for John Terry. John Terry was a strong, tenacious, commanding and physical defender and was known for his aggressive tackling, positioning, leadership and his ability to read the game. He is considered to be one of the greatest central defenders of his generation. Terry was named UEFA Club Defender of the Year in 2005, 2008 and 2009, PFA Players’ Player of the Year in 2005, and was included in the FIFA Pro World XI for five consecutive seasons, from 2005 to 2009. He was also named in the all-star squad for the 2006 FIFA World Cup, the only English player to make the team. Terry is Chelsea’s most successful captain, having led them to five Premier League titles, four FA Cups, three League Cups, one UEFA Europa League and one UEFA Champions League title since 2004! He is one of only five players to have made over 500 appearances for Chelsea and is also the club’s all-time highest scoring defender. BK8.com is Asia’s largest online betting agency, which provides customers with access to Asia’s top Sportsbook, Casino, Lotteries and Games brands. BK8.com is Asia’s biggest online casino brand, attracting millions of players to join and play. As the official agent of major gambling brands, they provide a huge range of casino games which deliver a premium experience for each player, whether playing at home or via Smart phone enabling continuous access to fantastic promotions that are on offer. BK8.com offers the highest quality across its wide range of products and services. Their Member Service Support Team is available 24 hours, 7 days a week, to provide assistance. For more information, visit our web pages online at https://www.BK8.com. I just want to take the time to wish everyone a Merry Christmas, Happy Holidays, and a Happy and Joyous New Year. I’m sorry that I have been unable to conduct my usual consulting work, travel to different casino and provide them advice and answers to table game problems, teach seminars on game protection and table game mathematics, and looking into and learning all the new techniques the “dark side” of casino gaming has been throwing at us in 2018. As you all know, I have spent the last nine months (has it been that long?) helping to operate a Cardroom Casino in Northern California. Unfortunately, it has taken up a great amount of my time, and because of the situation, it appears that I will be in this same position at least until the summer/fall of 2019. For now, take care and I wish you all a fun and very happy holiday season, and a pleasant and prosperous 2019. I like to publish questions I receive from various people who contact me and my answers that I believe would be, not only interesting, but enlightening to other people who subscribe to my eBlast list. One major problem our industry has always had is the sharing of information regarding gaming mathematics and issues related to possible cheating and advantage play. I believe in maintaining a forum that is as open as possible where others in the industry can learn from various industry executives and managers regarding their questions and experiences. Following are three emails I received over the past months. When replying to the questions, there are some instances where I also mention attached backup articles, spreadsheets or charts. 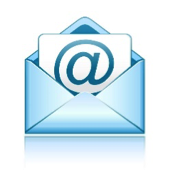 If you happen to find the reply to a certain email appealing, and are interested in obtaining the additional material mentioned, feel free to contact me and ask for the specific article, spreadsheet, or chart. In addition, I do honor your individual privacy. I will omit the location and name of the individual asking the question, and will not use a question/reply if the person who asks the question wishes to keep it between the two of us. Please send any table game related questions to wzender@aol.com. I am wondering if some casino’s place comp restrictions on Video Poker players (Jacks or Better or Double–Double bonus machines)? The short answer is yes they do. A lot of video poker games operate off a low H/A%, usually less than 3%. In most cases, each slot “point” represents a theoretical give back of 0.25%. If you offer 5X points as a promotion, the give back is 1.25%. If the video poker game is a 1% game or less (played perfect basic strategy), then you have eliminated your edge. Of course this would require the player receiving 100% of their reinvestment return (cash, food, rooms, etc. ), but you get the picture. It’s not unusual to see casinos offer 8X or greater promotion days or periods. Another area to consider is electronic devices/games that involve a participation with the machine manufacturer. 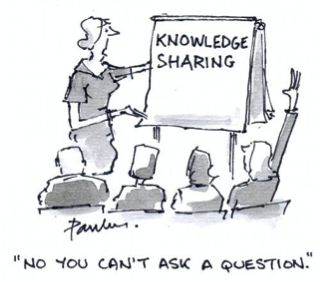 You need to consider your “profit sharing” agreement before including that device in your standard point promotion. Example; one major gaming corporation does not give players slot points for play on their ETG roulette machines. The reason for this is that they have a high participation sharing percentage, and even though the roulette machine is subject to a 5.26% H/A% on all bets, if they apply their standard points reinvestment, they are upside down revenue potential. Be sure to evaluate (or reevaluate) all participation devices and games. I am the table games manager for a casino in Oklahoma. I have a couple of questions about one play only promo chips. The first question is how will having promo chips affect a tables hold %; let’s say the table usually holds X% but we then add promo chips, what is the expected change in hold % and how did you come up with this figure? The second question is how would you create a report showing how the promo chips are doing? If you can give me some directions on these questions it would help me out a lot, please remember that the promo chips are one play only no matter if the player wins or losses. Great question. Single play Promo chips result in a loss to the chip tray of the table where they are played. If you reduce the amount of chips in the tray, you lower your hold percentage. The purpose for single play chip promotions is to bring players to the table to gamble. The down side to this promotion will occur if the customers don’t stay at the table long enough for you to win back the cost of the chips. The cost of the single play promo chip is approximately 48% of face value (based on a standard BJ game). If you give a player a $10.00 single play (also known as “free play”) promo chip, it cost the casino (and the table tray) $4.80. If the customer continues to play and bets $10 (on BJ), he will have to place an additional 37 wagers (at $10) before you will break even. In many cases, the marketing department has no idea of this cost and give the promo chips away like they are candy. Note: In review of this person’s question, I noticed I forgot to answer his question 2 regarding how to create a report that shows the effect, positive or negative, regarding the single play promo chips usage. The answer; you need to compare the cost of the promo chips given away, in this case about 48% of face value, with the incremental revenue gain from the promotion. You also need to add in any additional cost such as extra dealers to open more games, and personal to handle the promotion. In many cases, the promotion is not structured correctly and/or closely monitored by management, and the cost exceed the increase in revenue generated by the promotion. God bless the marketing department; however, a number of marketing personnel do not understand that the cost of this promotion is felt by the table games. When marketing creates a promotion Proforma (I hope they create a Proforma! ), they usually don’t include the true cost of the promo chips. I’ve recently heard that you advise operators to keep side bets on blackjack tables at $100 max or less. I’m reaching out to question your reasoning behind that. More specifically, in relation to the side bet offered at my property. We offer 21+3 side bets that pay 9 to 1. On multiple paying wagers, in this instance 9:1, you are open to large swings when players wager large amounts, and in most cases upper management does not understand when someone crushes a BJ game on a non-high limit table. Keeping the limits low allows you to maintain the “grind” play. Side bets are sometimes exploitable when players are allowed to wager larger amounts. For instance, the “Match the Dealer” side bet can be counted using a special count system, but no one attacks it when it is limited to a $25 maximum side bet. 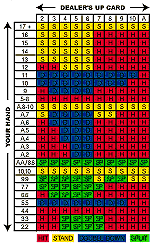 The estimated hourly “card counting” return for an average paced game is under $3 per hour. If someone were to raise the limit to $250, the side bet becomes much more attractive (just under $30 per hour). I tell people, be careful when raising the side bet limits you don’t open up Pandora’s box. On the opposite side of this equation, raising the side bet limit will increase your revenue potential from that side bet. The only problem is that an overwhelming majority of side bet players wager in $5 to $10 maximum, and the side bets don’t really attract higher range players who usually are not interested in anything but wagering on the main game. Idea; maybe consider giving certain higher limit players a special limit on the side bets (if your regulations allow it). If you want to raise the side bet limit, be sure you understand how the side bet can be beaten through advantage play beforehand (check www.apheat.net), and be sure upper management understands any possible win/loss volatility; explain the trade-off of short-term volatility for long-term revenue potential. Don’t forget the World Game Protection Conference, March 3-6, 2019 at the Tropicana Resort in Las Vegas. I plan to conduct two 50 minute sessions; one on Electric Table Games, similar to last year, but with updated material, and a second 50 minute session which will be a “drill down” into Roulette and Craps. It appears there are a couple of gambling jurisdictions that are including both roulette and craps to their State’s available table games for the first time. This session will be interesting for both the “newbie” and the “long-term” veterans. For more information, please go to: https://www.worldgameprotection.com/register/. As mentioned previously in this eBlast, I’m always available to answer your questions. If you have any questions on gaming; don’t hesitate to contact me through email. I answer close to a half dozen emails on gaming every day wzender@aol.com. When you enjoy card games, you may want to play and gamble on your Smartphone or other devices. A key part of enjoying a game on your phone or tablet is having the right apps. Fortunately, you can find the online gambling apps for card games by comparing the options and focusing on legitimate sources. Before you can decide on the mobile gambling card games you want to play, you need to clarify the options available on your phone or device. Android phones and iPhones have different apps and may not allow you to use every application available for a device. Many of the best gambling sites will have apps for all of the major devices, but you should focus on options that apply to your device. Do not assume that an app is ideal for your favorite card games without looking into the company. Mobile and online gambling is a growing industry, so you will find a variety of different options available on your device. Apps may have a specific type of game, like slots or poker, and they may offer a variety of different options. Pay attention to the description of the app and then look up the company running and maintaining the application. Pick out apps that have several card games or variations of your favorite card games. You also want to make sure the company is a legitimate gambling app to avoid unnecessary risks when you place a bet. Research is the foundation to limit your risk and ensure that you get the right app for your interest. A legitimate gambling app for card games like blackjack often provides a bonus when you download the app and sign up for the game. The mobile casino free bonus offer will vary for each app, so make sure you understand the details and read the fine print before you assume that it applies to card games. The ideal bonus is a no deposit bonus. That means you can start playing a card game without putting in a deposit. The amount varies between companies and apps, but the initial no deposit bonus allows you to try out the app and play a game without taking any risk. While a no deposit bonus is an option, you may discover that the apps offer different types of bonuses for players. A common option is to match your deposit into the game. Matching a deposit up to a stated amount allows you to double your bet or play longer. The purpose of a bonus on the best online gambling apps for card games is allowing you to figure out how to play the game without taking a large risk. Enjoying card games when you are on the go starts with finding the right applications for your phone or tablet. By focusing on games that offer a bonus, were put out by legitimate companies and apply to your device, you can feel confident in placing your bets. The key is focusing on legitimate companies that comply with legal standards and have several card games available so you can enjoy the experience. 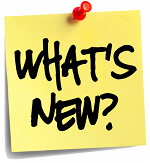 Lots of new stuff on the Blackjack Review Network. Check it out! Click on the NEW link to get the latest updates. 06/26/18: Improved Blackjack Basic Strategy Calculator layout. 06/26/18: Improved site optimization / loading speed. 06/04/18: Added entry for Triple Win 20. 05/26/18: Added entry for Deal or No Deal Blackjack. 05/10/18: Correction to Rule of 45. 05/07/18: Major cleanup of links and update to blackjack strategy types. 05/05/18: Updated entries for Richard Dougherty and Mike Michalek. 05/05/18: Added entry for Maria “The Greek”. 05/04/18: Updated entry for John Auston. 05/03/18: Updated the Blackjack Ball page. 05/01/18: Added entry for Players Edge 21 / Monster Match. 04/29/18: Added entry for no-peek devices. 04/28/18: Added entry for patents. 04/27/18: Added entry for HighHand Blackjack. 04/26/18: Updated entries for Mimic the Dealer and errors. 04/25/18: Updated entry for Exhibit CAA: Beyond Counting. 04/25/18: Added entries for Paul Rylance, OSN and Bonus Spin Blackjack. 04/21/18: Updated entry for Wally Simmons. 04/06/18: Added entry for Bad Beat Blackjack. 04/05/18: Added entries for Cacarulo, Robert Parker, Trackjack, Victor Nacht and the Halloween Blackjack Ball. 04/04/18: Added entries for the terms single-cut and single-fixed. 04/02/18: Added entry for Lex Luther and cleaned up Blackjack Publications section. 04/01/18: Updated the Rule Variation Charts. 04/01/18: Added entry for Macau. 03/31/18: Added Nevada Gaming Revenue chart. 03/31/18: Updated entry for John Leib. 03/31/18: Updated entry for Michael Hall and added entry for 21 News. 03/30/18: Added entries for Lima card counting system and Card Counter’s Cafe’. 03/30/18: Updated Blackjack Ball History page. 03/29/18: Added entry for Cat Hulbert. 03/27/18: Updated entries for Lance Humble and Harvey Dubner. 03/27/18: Added entry for the Safe Bet side bet. 03/26/18: Updated entry for buy-in. 03/26/18: Added entry for Sam Cohen’s book The Automat. 03/25/18: Added entry for Zombie Blackjack. 03/25/18: Updated entry for Edward Gordon (D. Howard Mitchell). 03/24/18: Updated entry and chart for Hi-Lo count. 03/24/18: Added entries for Loudon Ofton and SAL. 03/22/18: Added entries for FinCEN and Rolling Chips. 03/21/18: Added entry for Video Blackjack. 03/21/18: New – Words and phrases to avoid at the blackjack table. 03/16/18: Added entry for Perfect 11’s side bet. 03/15/18: Updated entry for the Golden 21 side bet. 03/15/18: Added entry for Shortie Blackjack. 03/15/18: Added entries for the Deuces Wild, Upcard Luck and Pick ‘Em Blackjack side bets. 03/14/18: Updated entries for the Super Sevens and Crazy Sevens side bets. 03/14/18: Added entries for Double-Up, Triple Attack, Triple-Up 21, In BETween and Extra Bet blackjack variations and the Pair Square and Dead Man’s Hand side bets. 03/12/18: Added entry for online blackjack. 03/10/18: Updated entry for advantage and the related FAQ. 03/10/18: Several hundred minor edits throughout the site and encyclopedia completed. Improved image and video loading accomplished. 03/08/18: Added entry for Chipless Blackjack. 03/08/18: Added BJ Quick-Eye photo and instructions to the blackjack archives. 03/04/18: Added entries for Mickey MacDougall and Russell T. Barnhart. 03/03/18: Added Card Counting System Comparison chart. 03/03/18: Updated/verified all point count systems in the encyclopedia. Added all insurance correlation (IC) figures. Improved cross referencing and reference links. 03/01/18: Added Jacques Noir’s One-Two Count from his 1968 book Casino Holiday. 03/01/18: Updated entries for T. Hopper’s T-H and Bushido counts. 02/27/18: Updated the Blackjack History introduction page. 02/27/18: Added the UNLV Gaming Research Center news feed. 02/27/18: Added entry for trente-un. 02/26/18: Updated entries for Pontoon and Richard Epstein. 02/25/18: Added entry for Bob Stupak. 02/24/18: Improved the user interface for the Blackjack History Database Tool. Now over 400 historical events listed. 02/24/18: Added entry for Bobby Fisher.